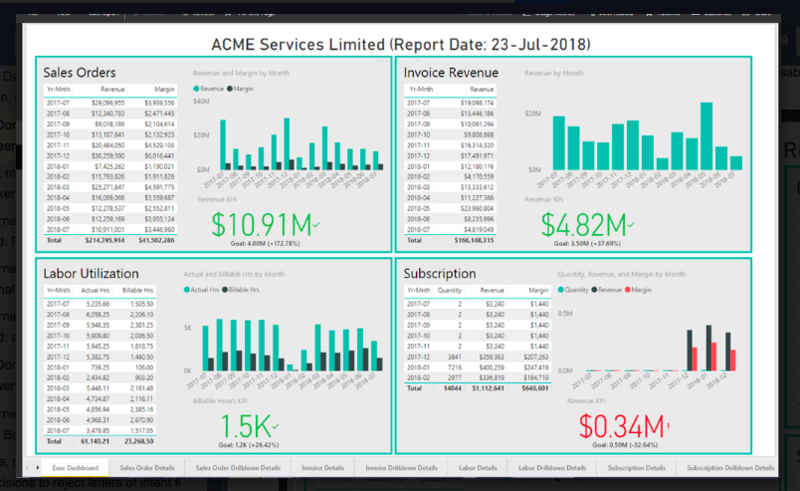 Toronto, Ontario – Mar 29th, 2019 – Promys, a leader in integrated CRM/PSA/MSP/Help Desk business software for technology solution providers, announced the newest release of its KPI Executive Reporting module. 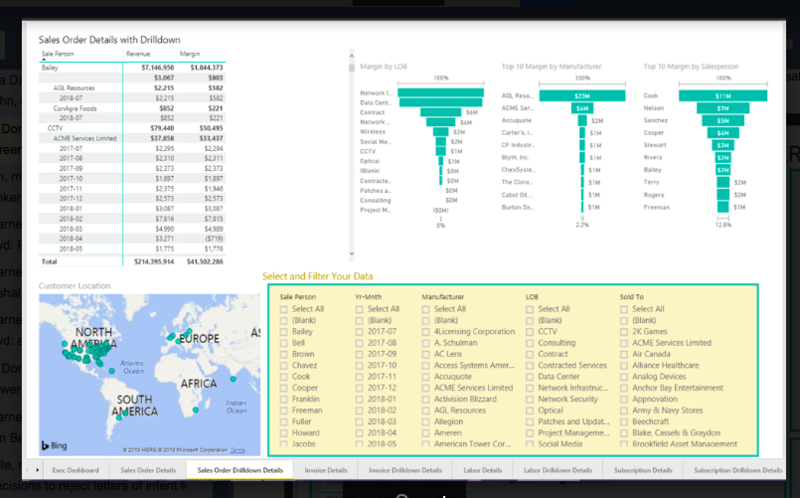 With its underlying Microsoft Power BI technology, senior Management has incredible access to critical business analytics. “Promys already has robust operational reporting within the CRM/PSA/MSP/Help desk software industry, but what customers needed was a consolidated, simple view of the business with the ability to drill down to any detail. “Promys is complete business workflow system it has rich and broad data sets about your business so it was a perfect fit for Business Intelligence (BI) analytics. We also didn’t want executives or managers to hunt for data and KPIs so we automated the process with daily or weekly delivery right to their email”, said David Donnelly, VP Product Development. A fast, single view of your entire business starting with the most important KPIs in real-time, anytime and anywhere. Reporting starts with a simple, 360% view of revenue/margin results, forecasts, services utilization, project profitability and more. It eliminates the process of waiting for reports to be collected and consolidated. Instant drill down from top-level KPIs all the way to individual or groups of customers, products, services, reps, techs or consultants. In minutes it’s extremely easy to see patterns about people, customers, product groups or any range of criteria. Executive Reporting gives you the insight to ask the right questions to managers or sale people. Promys’ John Breakey, former CEO of UNIS LUMIN, a national Cisco & Microsoft gold partner adds, “Promys was designed as a single, purpose built system for technology integrators, professional services and managed service providers. Customers benefit from a rich set of industry best practices, integrated workflow. This latest version of Promys with its powerful analytics enables executives to manage KPI’s that drive profitability. Promys is designed for technology solution integrators coping with growth. As business becomes more complex, more departmental where the consequence of errors increase, customers needed to shed multiple departmental systems and disjointed reporting. They need a comprehensive, unified system. If you are a services based business that brings together professional services, complex product solution delivery and multi-layered managed services and helpdesk support, Promys is a perfect solution for growth and profitability. For further information, please visit www.promys.com or call 1-866-728-2345.